I believe that by simply being an observer, one can change what they see in front of them. We look for things to make our brains “right.” I want to document what the kids do, but I don’t want to change what I see because I’m “looking” for something. I feel that responsibly documenting includes sharing observations of the kids, but without value judgments placed on what is seen. 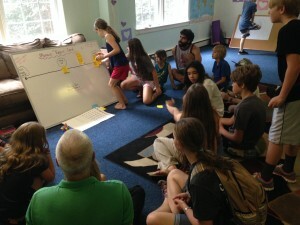 I feel it also includes sharing goals, interests, ideas they have and any accomplishments they make related to those. As each year goes by, I hope to better my practice here and provide each child with documentation to mark and celebrate who they were in the past year. As they get older, I believe that responsible documentation happens with each student so we can match it to their future goals – especially in high school if they have clear plans to either find a job, go to college, or a vocational training program. I want them to leave prepared with enough documentation to pursue their next path with ease. This blog post serves to mark the end of year documentation Charlotte and I chose to create for this year. During our ALF Summer program, I’ll plan on sharing this with other adults who have experience working with children in the Alternative Ed scene or in ALCs and parents of kids in our ALC so I can reflect and build on this practice for next year. I already see some things I’d like to change up for next year in this regard, which I’ll describe further down. Charlotte and I decided to build out a webpage on each child’s blog to document their school year. We split up the kids in the school, each of us taking responsibility to do this for about half of the full time students. Notes from both Dan and Charlotte. These include a short reflection for the other daily facilitators in the school. Notes from their parents. I asked parents to include a reflection too. Personal Reflection from the kids. Since most of our kids are elementary age, I wasn’t asking for an in-depth essay…If I did I’d get a lot of “I don’t know’s.” Instead I engaged the kids in a fun end of year reflective activity that I will describe very fully in the next section. Pictures from the school year. I do my best to document via pictures activities of the kids every week. On Fridays I upload all the pictures to our monthly Facebook Albums. I went through each monthly album and looked for photos of the kids for a picture reflection of the year. During the last three weeks of school, I led an activity during several of our Spawn Points that helped the kids support each other in thinking about what each student has engaged in this year. 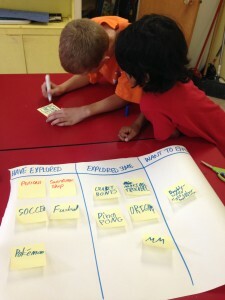 I started by explaining to the kids that “exploring,” in the context I was using it, included skills and topics. For example, they may have explored the skill of cutting a lot. This is a fine motor skill many young children explore. Or they gained the skill of learning how to kayak, swim, dance, play baseball, write, read, etc. For topics, this means that they learned about some area of interest they had: space, dogs, starting a business, the underground railroad, etc. Sometimes it’s hard to get started on a personal reflection. I was sensitive to this. That’s why I had the kids help each other. I also started off by timing the activity to give it a “fun” factor. 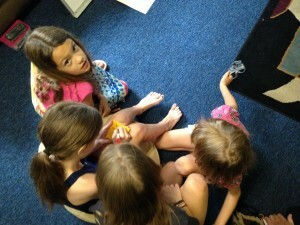 The kids were really helpful to one another. 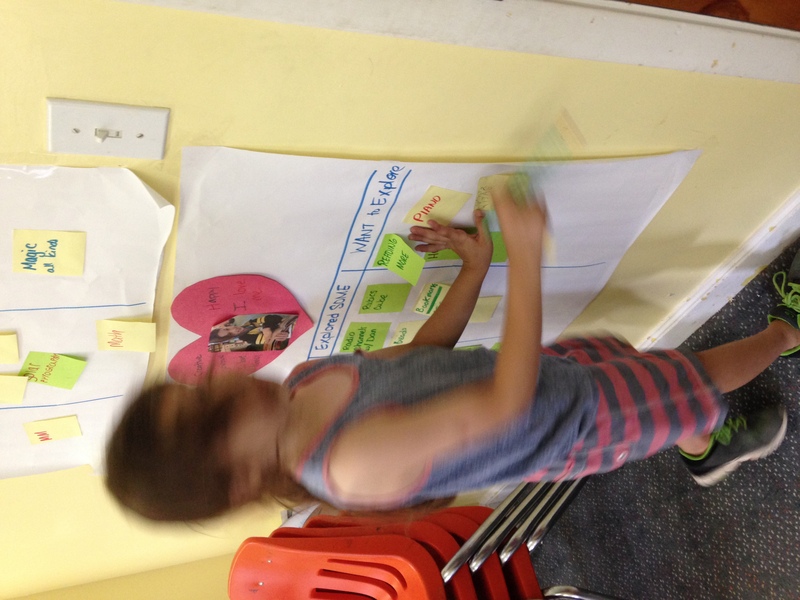 They would point out things they saw their friends doing and each person was so excited to add to their own Kanban. It appeared to really be helpful having them help each other. Once a person heard several examples of things they explored at school, then you could see the wheels grease in their minds as they remembered more and more on their own. We did this activity over two weeks, each day featuring different students to help. Many times, at the end of the timer, the kids would shout, “No! !” or “Can I keep working on this?” They loved seeing and thinking about the things they explored. I was kicking myself for not thinking to do this more regularly throughout the school year! 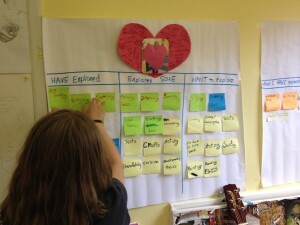 One day, as one of the students was working on her Kanban, she said, “Nancy, this is such a great idea! Now I’m remembering things that I wanted to do but didn’t get to! Like making a Warrior Cats board game.” She and her friend then spent the next few hours working on a board game for their favorite book series. I sent these Kanbans home with them so they could also think over the summer about any interests they have to add onto this. What did I learn from doing this? With a powerful morning reflective process, kids can get sparked to “get in the flow” embarking on a personal interest or inquiry. I saw this happen with the girls and their board game. Once they got into this in the morning Spawn Point, nothing could stop them from continuing to work on it throughout the day – it didn’t matter if the school was loud or if a marching band went through the hallway. They were in the zone. I want to incorporate more game or activity-like reflections like this in my Spawn Points periodically throughout the year. I want us to all check in as a group on where we are as individuals – and see if we need any support from the group. Are we exploring all the things we want to be exploring? Are we in a rut and not sure how to spend our time each day? Do we want to see what other people are up to? Are there new things we want to be exploring at school? Kids enjoy check-ins and want to know how they are doing. 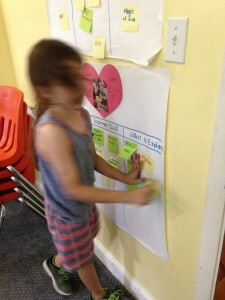 I liked that this activity wasn’t about if what they were up to was good or bad, but more about “What have they been up to?” The kids were excited remembering the things they have explored and liked seeing it displayed visually. I think everyone likes some kind of feedback and I think this was a fun way to do it. I want to give the kids more feedback regularly throughout next school year. What are practices I hope to implement next year based on this experience? Longer morning Spawn Points, with artful facilitation. 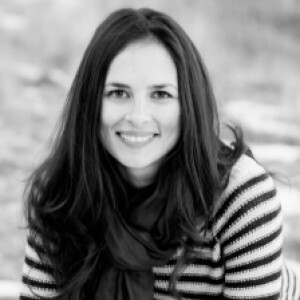 This means engaging the kids in some fun manner to think about their goals and interests and to start embarking on an interest early in the day, while still having lots of room for spontaneity, games, or cultural check-ins – is there something happening between kids that needs to be addressed? If we are upset, hurt, or angry, it’s hard to really pursue our passions and interest. 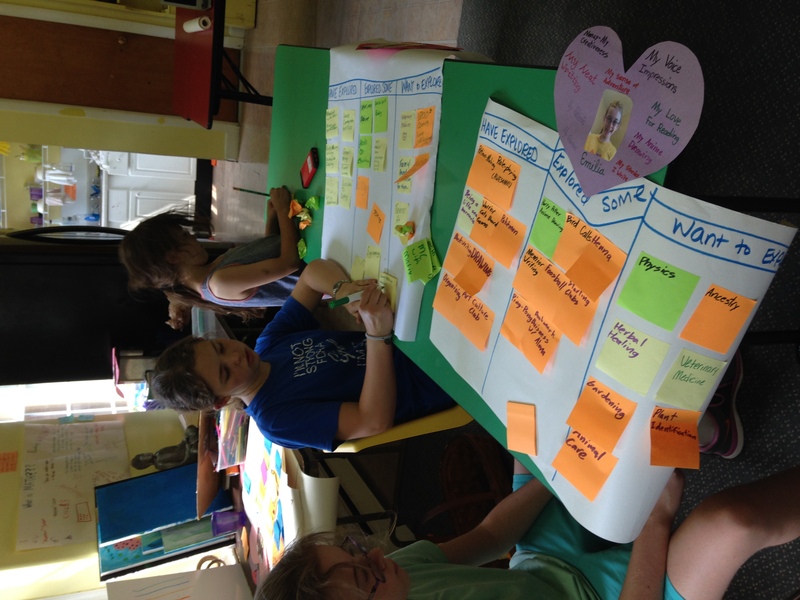 Artful facilitation also means being super responsive to the needs of the kids in front of you. This means you must know them, you must have a relationship with them. You know when to push, when to back off. You listen to your intuition and do the dance as best you can. Regular individual check-ins with kids – a one on one either weekly or bi-weekly to see if they have new interests or goals, or if they need support to figure out what they really want to explore. Regular group reflective activities (like the one described above). Maybe 4 times a year. Starting the build out the student webpages earlier in the year. I’d like to add notes and pictures quarterly. This way my reflections will be in checkpoints throughout the year, rather than me in June trying to remember everything I saw the child doing. Upgrading the use of Trello and blogging practice– this is each child’s primary way to document what they are up to from their perspective. I think we can better store this information by teaching the children to use the trello tools to write comments on something they want to document, and to be choosier about what items they want to store for their portfolio. Items from Trello that are really exciting to an individual can be marked as “blog post worthy.” At the end of the week, many kids aren’t sure what to blog about. If they are tagging items throughout the week, they will have some choices to write about something that was really meaningful to them, with reminders of what they wanted to say about it. Upgrading my level of support to give visible feedback to kids in an engaging way. 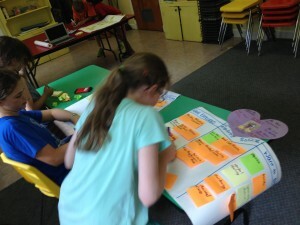 In the NYC school, the kids are consistently using physical Kanbans. Ours don’t, and perhaps they really need this consistent push to do so. 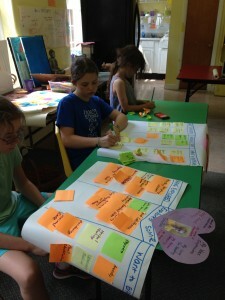 Or if it’s not a Kanban, I need to develop another visual way for kids to see what they’ve been up to at school. They seemed to really like seeing this. Over ALF Summer, I hope to develop a clear starting plan with other ALFs and parents that can grow from the reflections I share here! Some of the kids asked me in the spring for a report card. When you are running a school with no grades, where you are hoping to foster an environment where people are intrinsically motivated, well, this may seem like an odd request. However, I get it. People want to know how they are doing. We learn who we are in relation to our world and other people. Still, I wasn’t going to give out report cards that perpetuate a belief system that I choose not to buy into. Giving arbitrary grades for assignments – that mostly prove your ability to comply and follow directions – isn’t my style. I’d rather support children to create their own goals to meet and help them see whether or not they have achieved the goals they created. 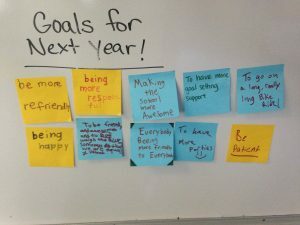 I also wanted to have some type of end of year reflection with the kids to mark the end of the school year. I have been musing over the ideas of rites of passages and rituals that have existed in many cultures to mark the entry into a new phase of life. This journey the kids have taken with me, the rest of the staff, and their families has been one full of joy, challenges, fun & hard work. There have been hardships I want us to acknowledge in a healthy manner – to reflect on and then move forward with hope and new understandings (so we don’t repeat past mistakes), and things we’ve done really well that I want us to mark and celebrate. My goal is for us all to enter the next school year with our minds focused on what is possible & what we want for our community, rather than marred by what we didn’t do well or to just stay stagnant and repeat actions that don’t serve us. I decided to get some support and thoughts from the other ALFs in our network. I asked them if they had end-of-year rituals/routines or any ideas that may be good to try out. 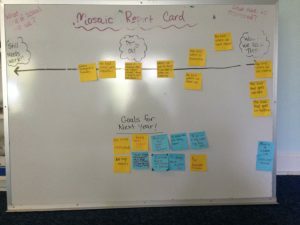 This led to some sharing of what we did for individual students (this year at Mosaic, we made each child their own webpage chronicling their year at school) or with the community (in NYC a community potluck is always held on the last day of school). Still, I was looking for a group activity to do with the students that would help us feel connected as a group to our community goals. 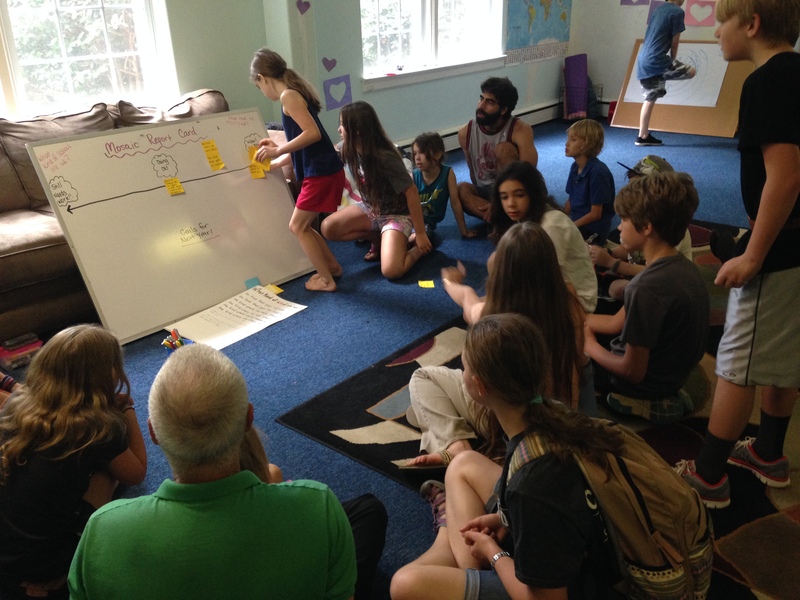 Drew began talking on the call about how it might be possible to use the community mastery board as a part of this group reflection…and as he kept speaking he planted the seed in my mind for where I could go with this for this year. I felt grateful to have a community of Agile Learning Facilitators to bounce around this idea. It’s exactly the type of support we can provide each other through having a network of schools. So, to give the kids an experience of evaluating self-selected goals, I conducted an activity with them at our last Change-Up meeting where we gave our school a report card. “We are at the end of YEAR 2 of Mosaic!!! As a community we’ve grown and changed, and I hope we will continue to do so each year so we can create a better and more awesome school continually! I was asked by some of you for report cards this year, which I had to think carefully about before responding. You all have a reflection year-book on your blogs that we’ve made for you, but this isn’t exactly a report card. I don’t want to just assign grades or values that don’t mean anything to you. I went on to show them a list they helped to create to answer “What Kind of School is Mosaic?” I did this activity with the kids in January, after I had re-watched Bruce Feiler’s TED Talk, “Agile Programing for the Family.” You can read a prior blog post I wrote about this TED Talk here. We posted this list above our Community Mastery Board, which we use each week at our Change Up Meetings to decide what we want to work on as a community. This list is meant to serve as a reminder of what ideals we want to grow to as a community so we can be inspired to create “change-ups” to our community practices that help us move towards our self-selected goals. I then showed them a continuum on a white board. The kids at Mosaic are familiar with continuum’s to evaluate statements, so this made sense to use here. What Kind of School Are We? Reading through their stickies in the small group. Great!!! The kids feel that these are items that are important to what kind of school they want to be a part of. They feel we ROCK at being a community where we these items are apparent and a part of school culture. Through the cheers of the kids, it felt pretty apparent that everyone agreed we are a school that does three items! From conversations with the kids, it seems that they want more choices to be presented to them to choose from. 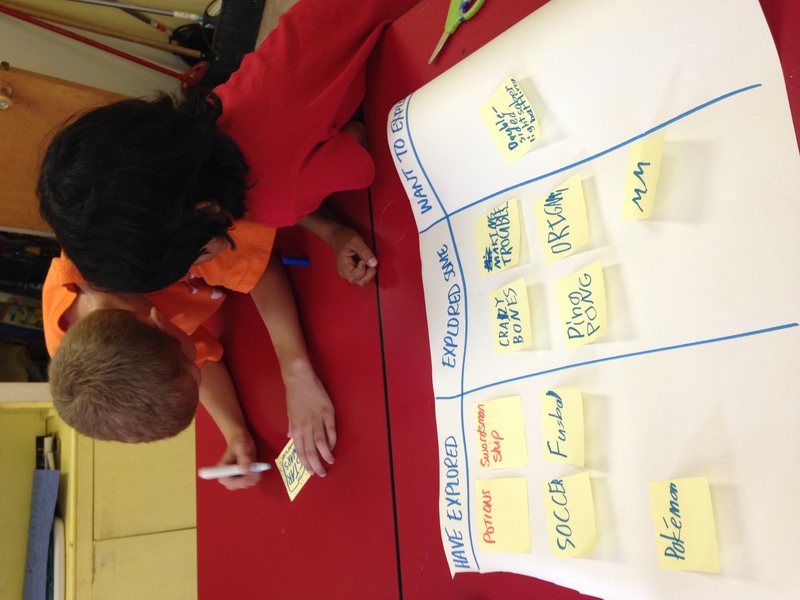 Some kids struggle with generating ideas for activities they would like to do/participate in at school. They want to have some cool options presented. Not every child or person is good at just generating “Today I want to make a board game and I know all the steps and materials I’ll need to make that happen!” Some want some more scaffolding and support to come up with the ideas and a plan. In addition, some have interests and desires to experience and learn many types of things, but they need more support in the steps of how to get there. For example, if a child is interested in architecture, they need support in identifying what options are available for learning and experiencing more about architecture. I see this as an opportunity for the ALFs at Mosaic to learn how to help children set and reach goals they have. We’ve gotten SO MUCH better at this. Personally, in January, I began setting the intention in the morning, (in front of the kids), to be happier at clean up. I decided to stop just being frustrated or angry about how clean up was going and to just clean up happily, and from that place, generate ideas with the kids about what would make clean up easier. The jobs have been a huge help. The whole community was excited to reflect on our growth on this particular item. This led to a discussion of how, through using our CMB at Change Up Meetings, we have implemented practices as a community to allow for quiet space at school. The kids agreed that at the beginning of the year, it was loud in the building, making it hard to find a quiet space to read, rest, or just get away from noise. We have gotten so much better at this by speaking to each other about the need for quiet space at school and reminding each other to keep some type of play outside or to communicate via Set-The-Week or Daily Spawn Point when a need for reserving the big room for loud play is desired. Where if somone asks, “What’s Wrong?” there is time to really talk about it. Before jumping into the conversation with kids about how they felt our community needed to work on improving these three items, I reminded them that positive culture creation is the biggest learning we have the opportunity to learn how to do at an ALC. Most schools where I have worked simply told kids how to act and treat each other, and used behaviorism techniques to make kids “appear” respectful to one another. For example, using tickets to “pay” kids when you catch them being “good” as a way to increase the “good” behaviors you wanted to see. Or, you just keep kids so busy with worksheets that there is no time actually practice being social with one another. In absence of a curriculum, who we are and who we show up as becomes the curriculum. We’ve learned a lot about each other as individuals, and many students have shared powerful reflections on themselves throughout the year that help us understand one another. From here, we can develop an inclusive culture that supports each other’s differences while still being a community. This is what we have the opportunity to learn how to do since we aren’t so bogged down with busy work and worksheets. We are not just individuals coming to school to have our own needs met by everyone else. We must learn to hear each other and gain a broader sense of community needs so we know how to be at school in a way that honors our individual needs, while also respecting the needs of others. Sometimes this means doing something differently than the way you imagined or having self-restraint (i.e., “Wait, I should take this soccer ball outside to play. I know that as a community we are working on having quiet space inside, and by playing soccer in the hallway, this isn’t helping our community goal). A few students mentioned our culture committees being a support to helping kids talk though issues that feel recurring at school. Sometimes it’s just listening and then generating ideas to help empower an individual to navigate a particular social dynamic. Sometimes, we need to work with a couple of kiddos who need support to remember community agreements. Something that has come up a bunch at the end of the year is kids excluding others from games. We’ve spent time practicing how to ask for space from others in a respectful way. “Right now, I would like to work on/play with _________. But would you like to play/do ___ at 1pm?” We are still working on how to create space for kids to play/do an activity with a small group without it feeling exclusive to others. As a group, the kids felt that we have improved on these items and would like to continue improving on them throughout next year. 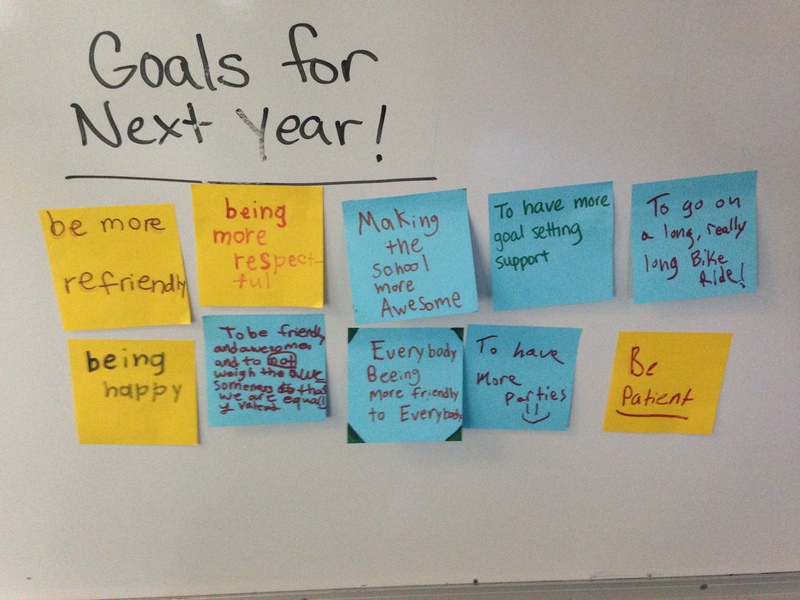 Their ideas for goals for next year? This film is incredible. I hope that there are parents and ALFs in our ALC Mosaic, Agile Learning Center, and Agile Learning Facilitators network that are willing to watch this film and share it if they so feel moved. Please click here to watch Schooling The World. Many people feel good when they “support education.” But do you know what you are supporting? Take a look at what our education system is doing world wide, and also consider…what is it exactly that we are teaching our youth? “A lot of [people supporting the spread of western education] are very well intentioned, good people who are actually thinking they are doing something good for their communities, but a lot of them don’t understand the much larger game in which they are pawns” (quote from the movie) We are actually taught to believe that what we learn in school is good for us, and the western way of thinking is superior to other ways. But how is teaching superiority helping us to have compassion and to love and respect one another? I believe that my great-grandchildren will view western education as we now view slavery: How could we possibly do this to human beings?